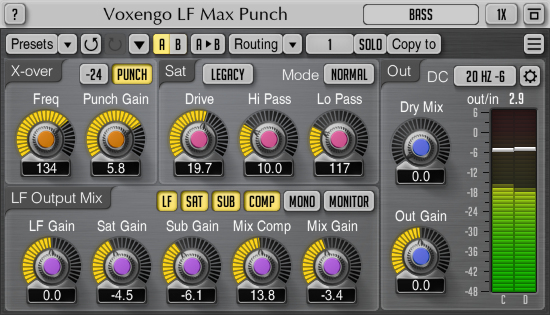 LF Max Punch, Software Exciter/Enhancer from Voxengo. 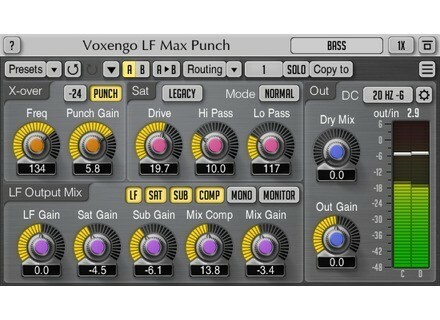 Voxengo has updated LF Max Punch to version 1.3. The "No Multi-Channel Operation" global switch was added that fixes incompatibility with some non-VST2.3 compliant VST hosts. The "Show All Channel Meters" routing switch added. WOK DRONOS WOK has announced the release of DRONOS, a new VST instrument plug-in for Windows.